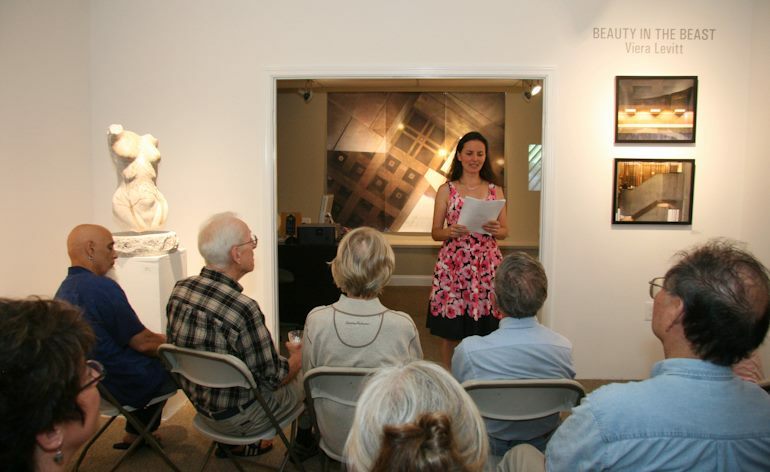 (formerly Viera Jancekova) settled in Rhode Island 6 years ago following her Artslink Residency at RISD Graduate Studies in 2002 and an internship in the Photography Department at the Museum of Modern Art in New York in 2005. After 3 years as the Director of the CCRI Knight Campus Art Gallery, she has, since September, 2012, worked as the Gallery Director for the University of Massachusetts in Dartmouth. 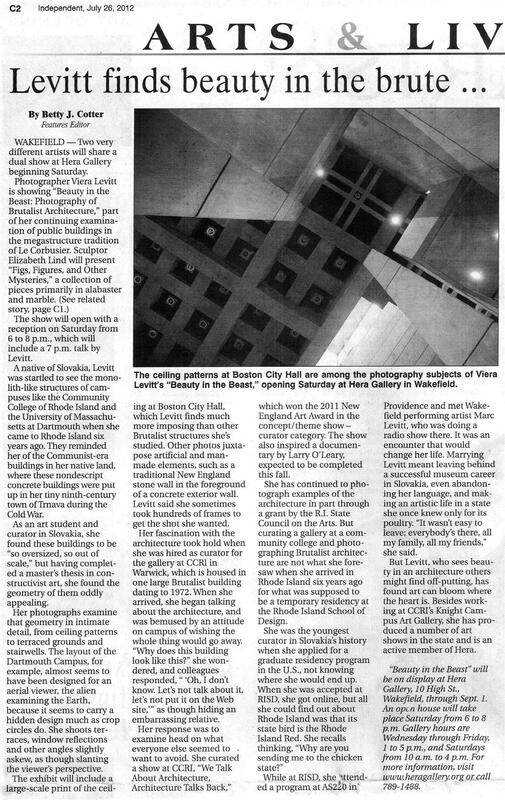 Viera's show at CCRI's Knight Campus Art Gallery about its brutalist megastructure “We Talk About Architecture, Architecture Talks Back” recently won the New England Journal of Aesthetic Research's 2011 New England Art Award in the Concept/Theme Show Curator category. Before moving to the United States, Viera served as the youngest art museum director in Slovak history, responsible for among other things, managing an international, 672,000.00 Euro project with 6 other partners from European art centers called 'Re:Location'. She has taught Art History and 20th Century Art in Trnava University, Johnson & Wales University and at the Community College of Rhode Island. From 1996 to the present, Viera has curated or co-curated more than sixty exhibitions in Slovakia, the Czech Republic, Germany, Austria, Luxembourg, and in the USA. 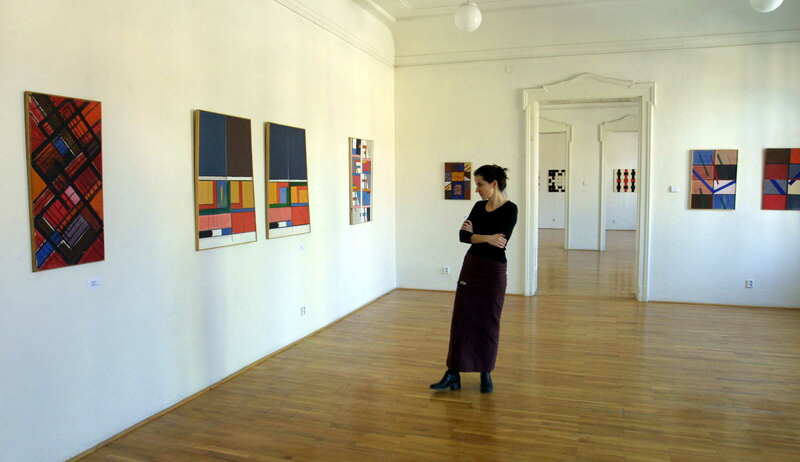 Venues have included, the Jan Koniarek Gallery in Trnava, Synagogue, the Centre for Contemporary Art in Trnava, Slovakia, the Neuer Berliner Kunstverein in Berlin, Germany, Casino Luxembourg, Narodni technicke muzeum in Prague, Czech Republic, O.K Center in Linz, Austria, Povazie Museum of Art in Zilina, Slovakia, Myopic Bookstore in Wakefield, RI, Hera Gallery in Wakefield, RI, with the Mobile Art Project in various locations in Rhode Island, the URI Fine Art Center Galleries in Kingston, RI, the Courthouse Center for the Arts in West Kingston, RI, FreeDom, Bahon, Slovakia, AS220 in Providence, and the At Home Gallery in Samorin, Slovakia. Viera Levitt has also lectured about contemporary art in cities such as Bratislava, Brno, Berlin, Rotterdam, Hiroshima, New Delhi, Caracas, Nairobi, as well as in Rhode Island often with her lecture, 'Who is Afraid of Contemporary Art?'. 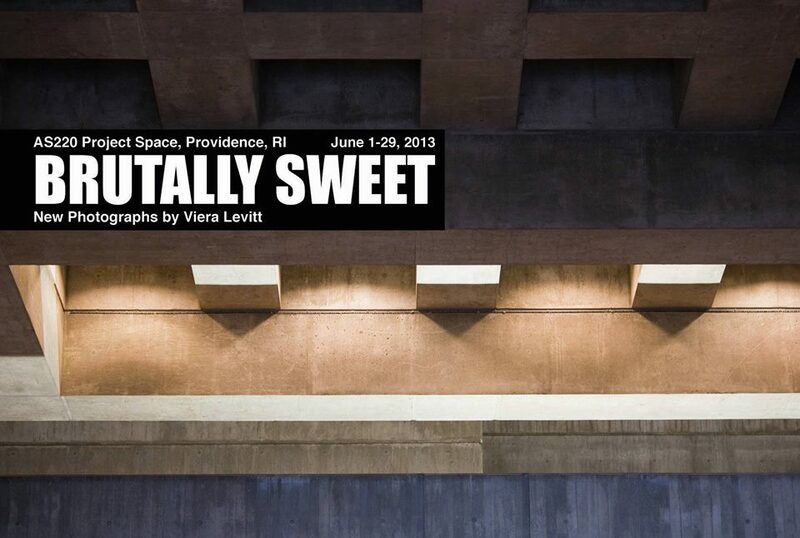 Ms. Levitt was invited as a guest critic to RISD, URI, CCRI, Salve Regina University, and Roger Williams University. She is a member of Open Section of AICA (International Association of Art Critics) and IKT (International association of contemporary art curators).